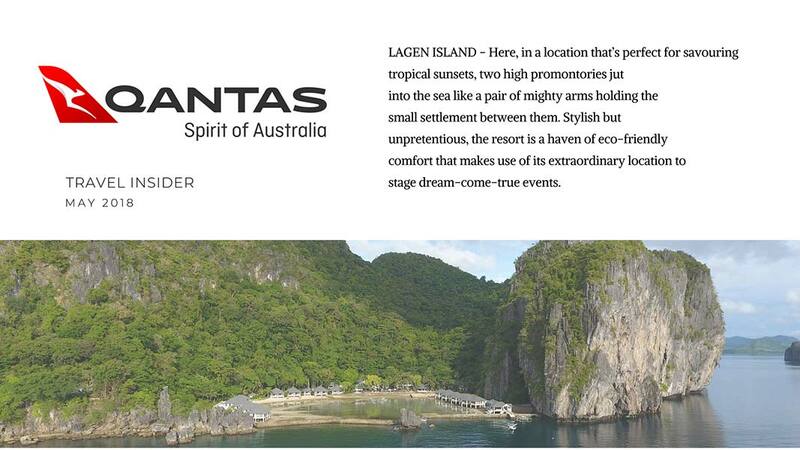 At Lagen Island Resort, a 45-minute boat transfer from El Nido Airport, manager Jen Zafra knows that spectacular natural settings can enhance life’s most romantic experiences. Here, in a location that’s perfect for savouring tropical sunsets, two high promontories jut into the sea like a pair of mighty arms holding the small settlement between them. Stylish but unpretentious, the resort is a haven of eco-friendly comfort that makes use of its extraordinary location to stage dream-come-true events. The staff goes to great lengths to design the perfect wedding or vow-renewal ceremony for guests. 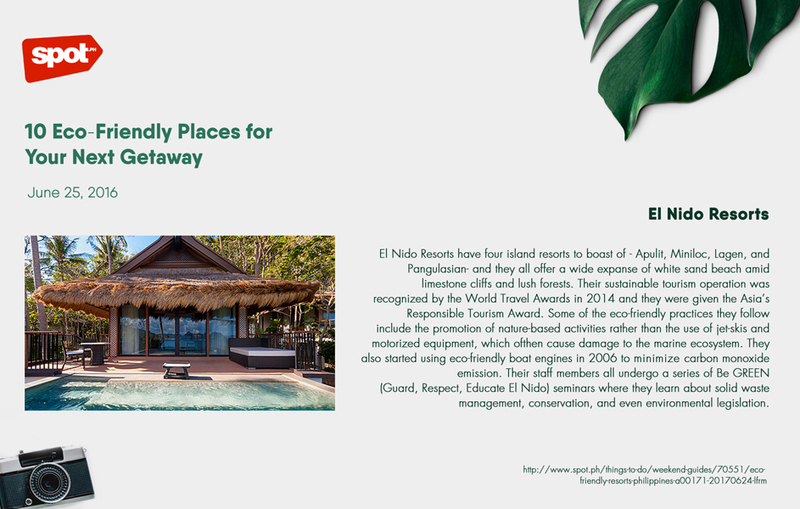 And locations for private marriage proposals or honeymoon dinners include a rainforest cabana, a floating bamboo raft and a sandbar reached by speedboat. 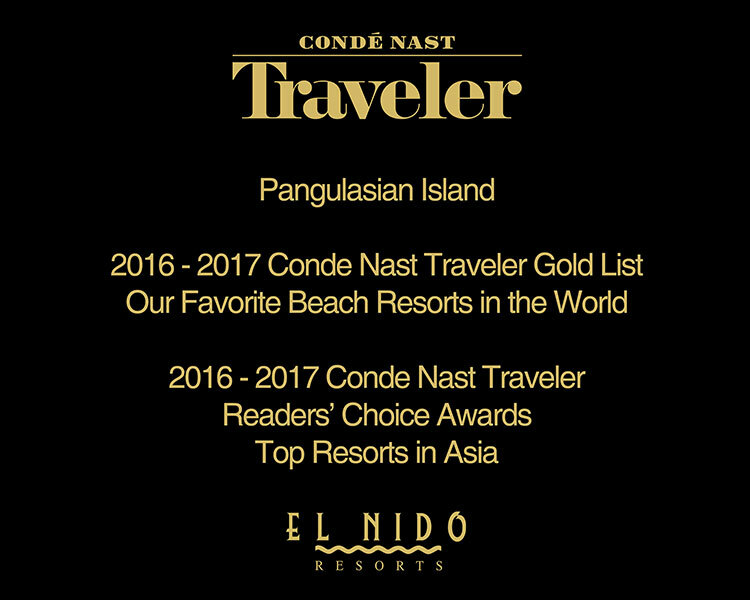 El Nido Resorts’ Pangulasian Island, has once again been recognized in the recently concluded 2017 Readers’ Choice Awards for “Top Resorts in Asia”. Aside from this, the resort was selected as one of the CNT Gold List 2017: Our Favorite Beach Resorts in the World, earlier this year. Both prestigious categories were awarded to the resort for two consecutive years. A lot of people would agree that the Philippines is a traveler’s paradise. We have mountains that are perfect for any time of hiker, coral reefs that can dazzle any scuba diver, and beaches that are admired the world over. But having the most beautiful islands comes with a prize – the responsibility to take care of them in every way we can.